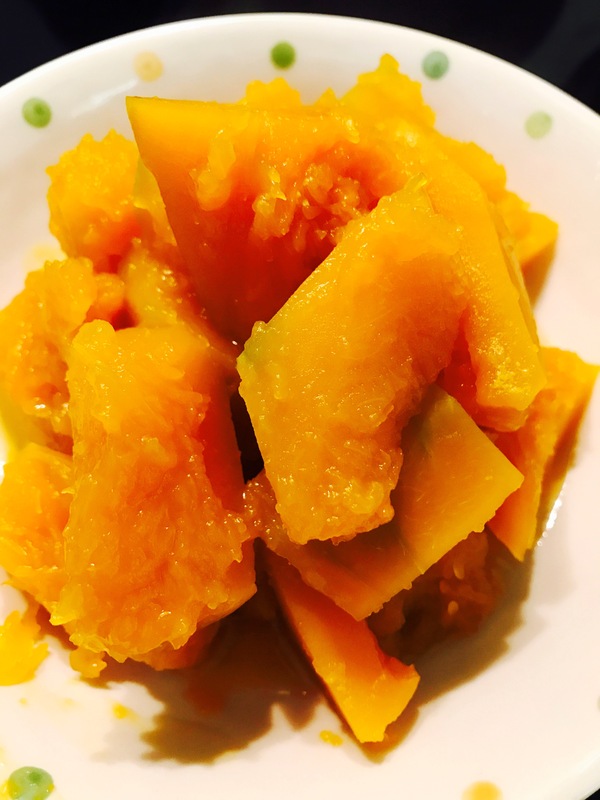 I found an easy way to cook pumpkin and fried it the other day. 1. 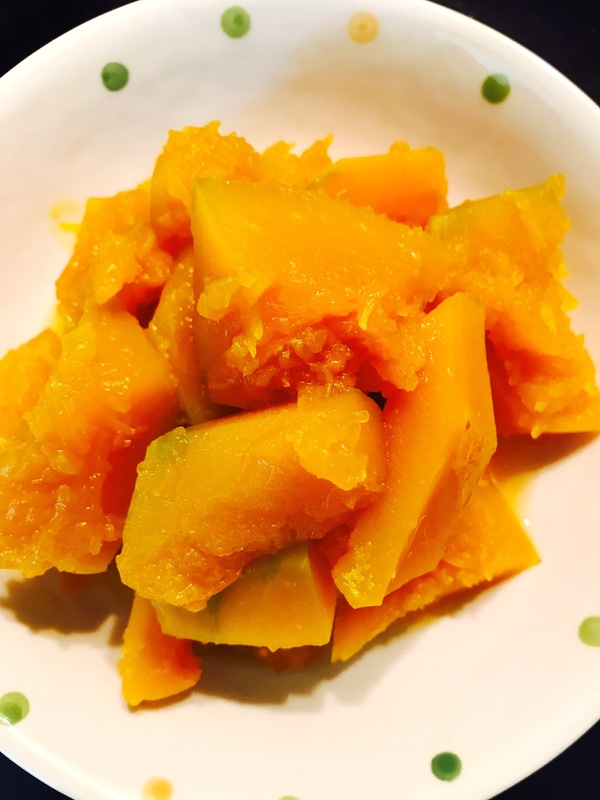 Remove the seed and peel of pumpkin. And chop into medium chunks. 2. In a pan, pour in 200 ml water. Add in 2 tsp sugar, 2 tsp light soy sauce, 2 tsp mirin. And bring to boil. 3. Put pumpkin chunks into water. Cover the pan with lid. Turn to medium heat. 4. Keep heating till pumpkin is done or water is dry.